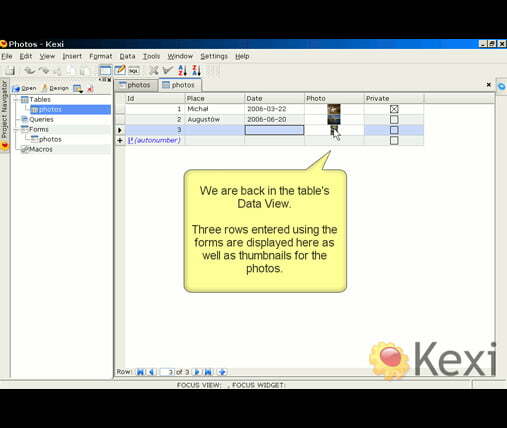 Kexi is a visual database creator application. 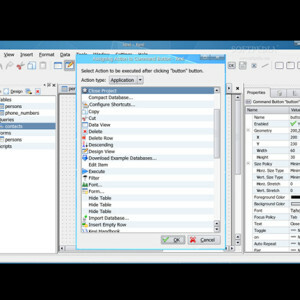 It can be used for creating schemas, inserting data, performing queries, and processing data. 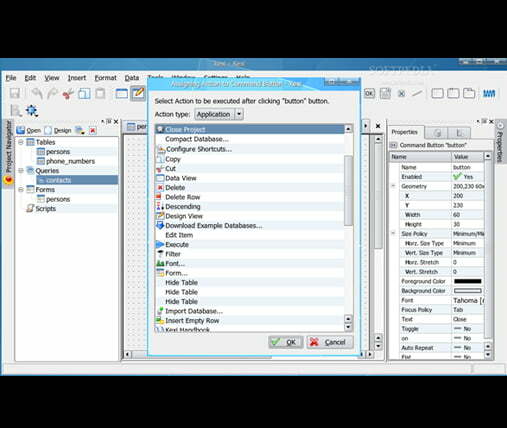 Forms can be created to provide a custom interface to your data. 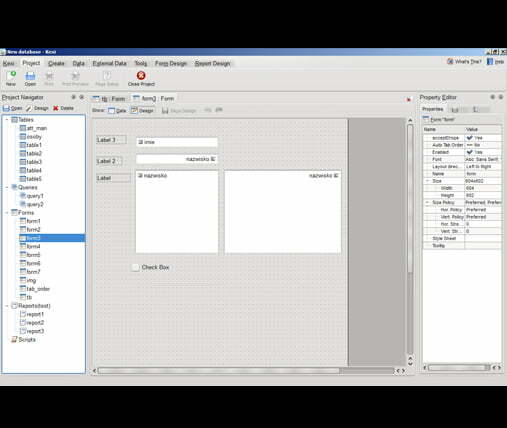 All objects, tables, queries and forms are stored in the database, making it easy to share data and design. 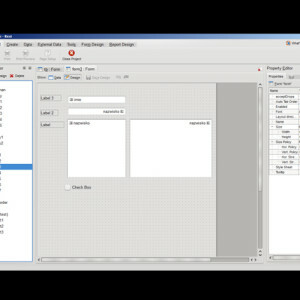 Full visual designers for tables, queries and forms. Queries can be also designed in dedicated SQL view. 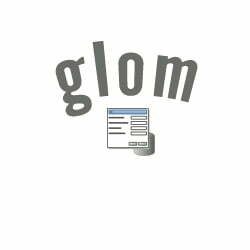 Running queries, support for parameterized queries. 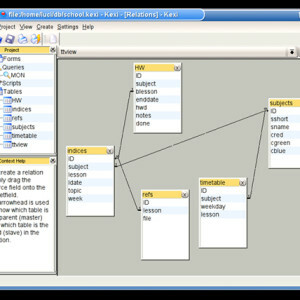 Support for “Object” data allowing to store many types of images. 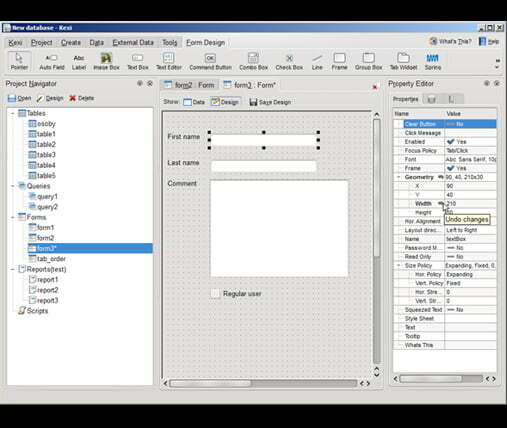 Designing and displaying relational data using combo boxes (lookup columns). 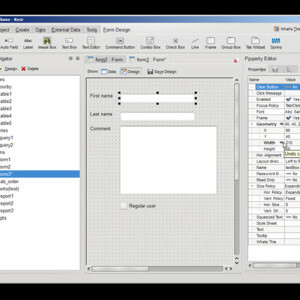 Simple printouts for table and query data with robust print preview. 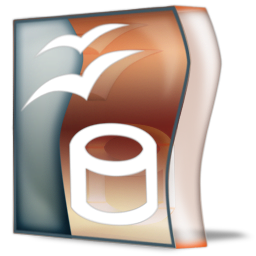 Advanced CSV data import and export from files. Copying to clipboard and pasting from clipboard is also available, thus the data can be easily transferred to applications like spreadsheets or word processors. 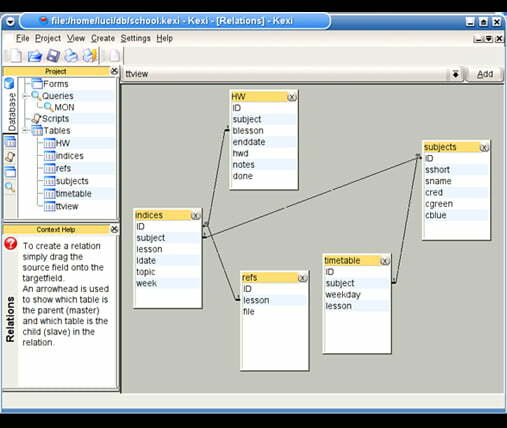 Kexi is an Open-Source Software. As a real member of the KDE and Calligra Suite projects, it integrates fluently into both. 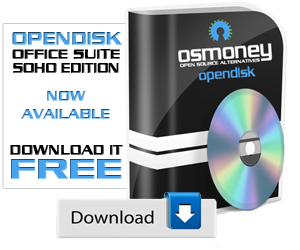 It is designed to be fully usable also without KDE on Linux/Unix, Mac OS X and MS Windows platforms.